Hello traders, welcome to the NinjaTrader tutorial, and the third module SuperDOM overview. 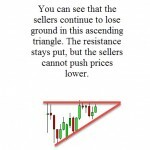 In this lesson I’m going to go through the price ladder display. And what the price ladder is, is actually, t’ll show you the orders that are placed at a different bids and ask levels on the market. That is why this is called a SuperDOM because DOM stands for depth of market. Now here’s what the SuperDOM looks like. This is an actual crude November contract chart. And here is the SuperDOM for this particular chart. Now the way you open a new SuperDOM is you just go to the control center. You go to file, new and you click here on static SuperDOM. And a new SuperDOM will be prompted on to your screens. And let’s say that you want to choose the gold future contracts you just click here and right down gc08-15. But for this example we are going stick with the crude contracts and it’s SuperDOM. Now on this lesson I’m going to show you the display of this ladder. What this ladder displays is the price level. Which is this one in the middle, okay? The sell side and the buy side of the market. Now you can see that right here we have numbers that are continuously changing at different market levels. These are the orders are placed and getting filled on each side of the market. For instance, let’s look at the sell side of the market. You can see that at 50.88 we have five, six orders in the market. And you can see that the number is changing because orders are getting filled, but sellers keep on placing orders at that level. So the sell column displays market depth on the ask side of the market. It’s called market depth because you can see, not only the orders that are being placed and are being filled on the actual price level, but you can see five or six levels above. On the buy side of the market, or the buy column, displays the market depth for the bid side of the market. Again, it’s called market depth because not only you can see the orders that are being placed and being filled are at the current bid price, but five or six levels before, below. The bid column is used to submit and modify buy orders. The sell column is used to submit and modify sell orders. These orders can be for actual buying, or taking property from a short position, or actual selling or taking profit from a long position. Now for the center part of the SuperDOM, or the price column. You can see that we have two prices. One in green and one in blue. The price that is highlighted with yellow is the last traded price. The blue price is the current bid price and the green price is the current ask price. And this is what you need to know in order to understand the information that is displayed on the price ladder.